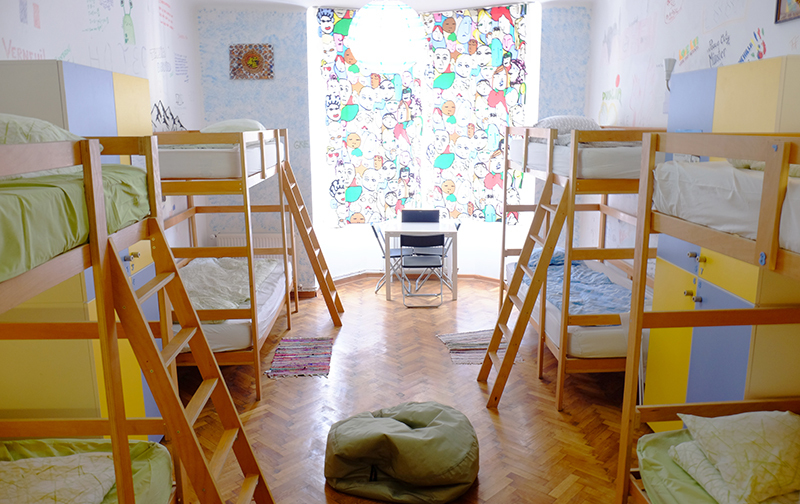 Located on the first floor of the hostel, with ensuite bathroom and shower, TV and wardrobe. Beds consist of comfortable double bed and single bunk above. Window with view to the terrace and alleyway below. 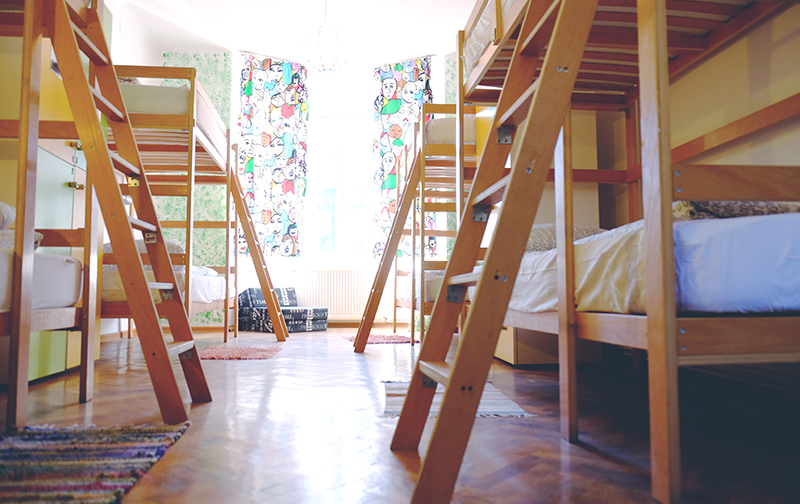 Bright dormitory with 4 beds (one double bed available). Large safe lockers in the room, two windows and shared toilet and shower facilities down the hall. Female only dormitories with common entrance, ensuite bathroom and shower. Large windows, safe lockers available. 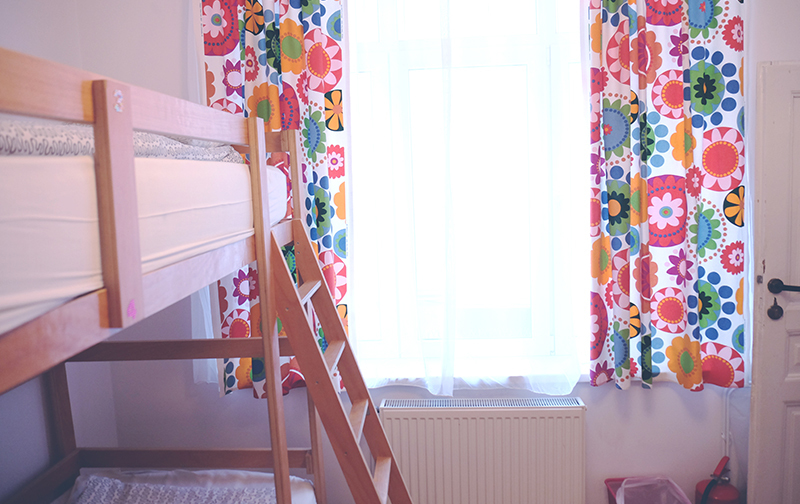 Bright dormitory with 8 beds, large windows with view to the famous walking street in the Old Town. Large safe lockers in the room, shared toilet and shower facilities down the hall and a small seating area inside the room. Mixed dormitory with 8 beds, large windows with view to the famous walking street in the Old Town. Large safe lockers in the room, ensuite bathroom with shower and a small seating area inside the room. Apartment of two adjoining rooms with 6 & 8 beds. Private bathrooms and showers, large windows with view to the famous walking street in the Old Town. Safe lockers and small seating area inside the room. 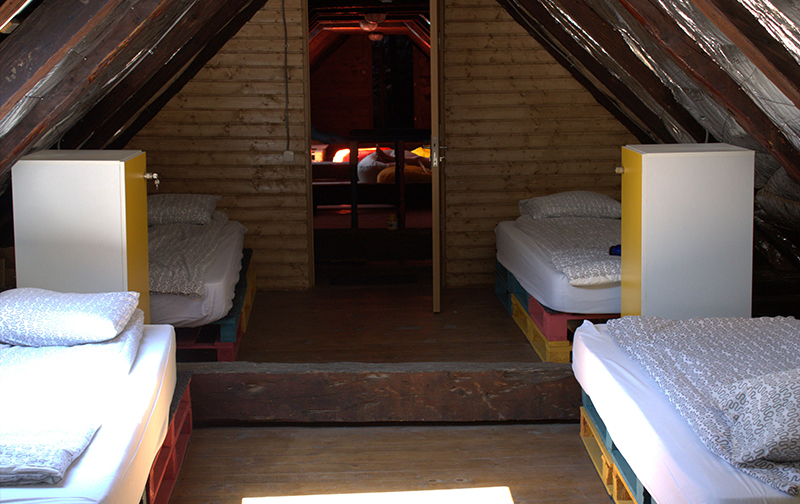 Loft dormitory of 6 pallet beds (one double bed available) with exposed wooden beams. Safe lockers with shared bathroom and shower access one floor below. 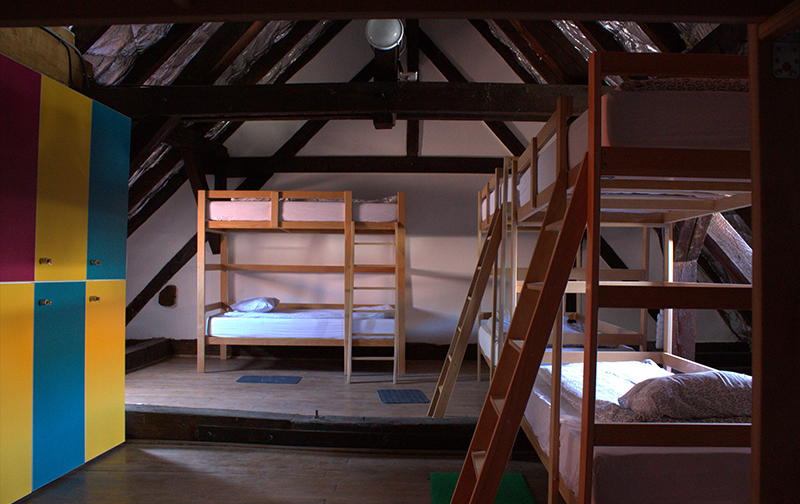 Spacious loft dormitory of 10 beds with exposed wooden beams and room seating area inside the room. Safe lockers with shared bathroom and shower access one floor below. Since our Hostel is the perfect combination of great location, good quality lodgings, low prices, romantic view on the city, nice staff, offering accommodation in triple and shared rooms (even private ones), consider it to be the best choice you can make.